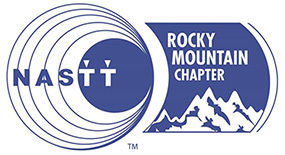 Matthew Wallin will be teaching a portion of NASTT’s Introduction to Trenchless New Installation Course at the Rocky Mountain Regional NASTT Chapter’s Annual Trenchless Elevated Conference, Oct 5-6. The conference provides a venue to network with like-minded underground professionals, learn about the practical, social, environmental and cost-saving benefits of trenchless technology, and find trenchless exhibits showcasing new construction and rehabilitation products/services. The first day of the 2-day conference includes presentations from chapter members on various trenchless rehabilitation and new installation projects. On the second day, both the New Installations and Rehabilitation short courses are being offered.